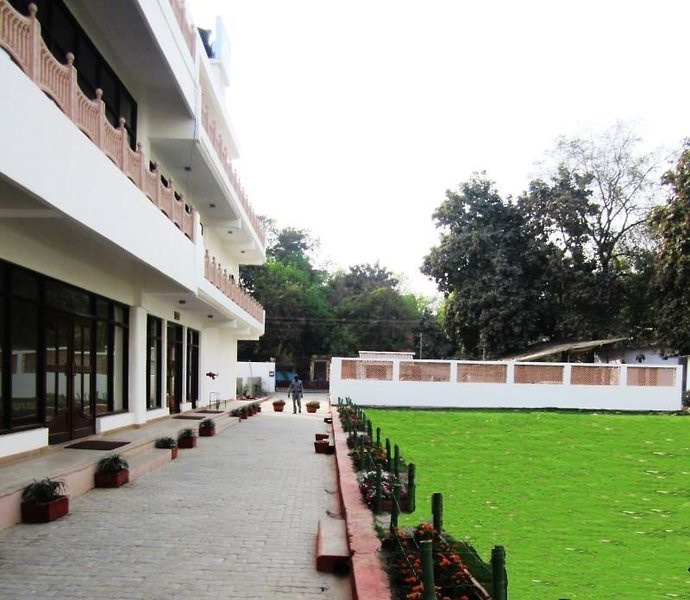 Ideally located in the prime touristic area of Civil Lines, Hotel Harsh Ananda promises a relaxing and wonderful visit. Both business travelers and tourists can enjoy the hotel's facilities and services. Free Wi-Fi in all rooms, 24-hour room service, facilities for disabled guests, Wi-Fi in public areas, car park are just some of the facilities on offer. Guestrooms are designed to provide an optimal level of comfort with welcoming decor and some offering convenient amenities like television LCD/plasma screen, internet access – wireless, internet access – wireless (complimentary), non smoking rooms, air conditioning. The hotel offers various recreational opportunities. Convenience and comfort makes Hotel Harsh Ananda the perfect choice for your stay in Allahabad. Market nearby. Very near to bus station. Very near to Railway station. Well behaved staff. Desk people are not professional. Good discount. AC was not working. No ventilation. Avoid hotel room. AC was not working. No ventilation. Bed was not in good condition. Does not have restaurant in its premises. Quality of food not satisfactory. I didn't like the food quality of Hotel. No cleanliness. Bathroom was not properly cleaned. Room was so messy.